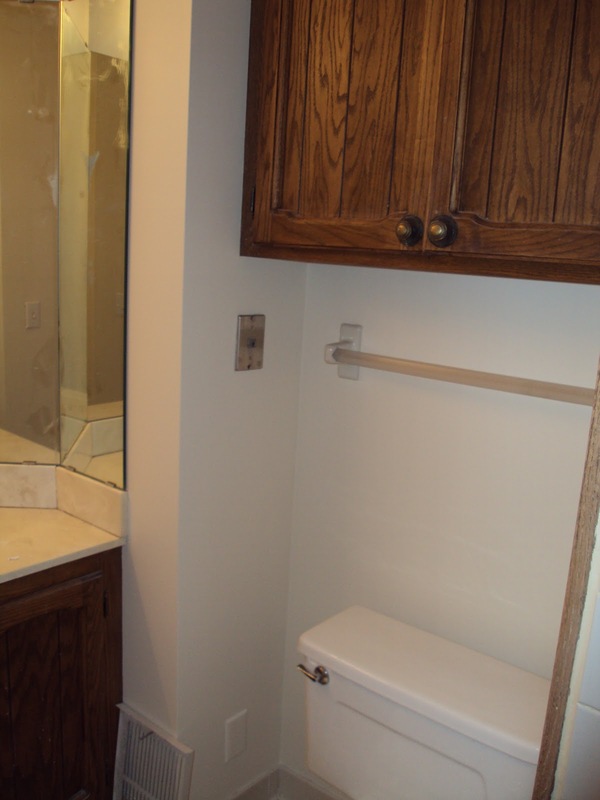 Here are some before and afters of the Master Bathroom. We still don't have any pictures on the wall, just haven't found anything yet. Anyone who has ideas or suggestions on where to look, I am completely open to them! I am very happy with the way it all came together. The color is from Home Depot Behr Paint and is called Basketry. It is a very warm and inviting tan. The mirror is from Home Goods ($59) and I love the way it warms up the room. 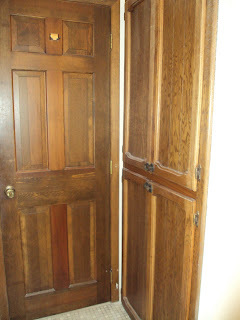 The boy painted the cabinets which I think really brightened things up and made it feel not quite as dated. The garbage can and shower curtain are from Bed Bath and Beyond. 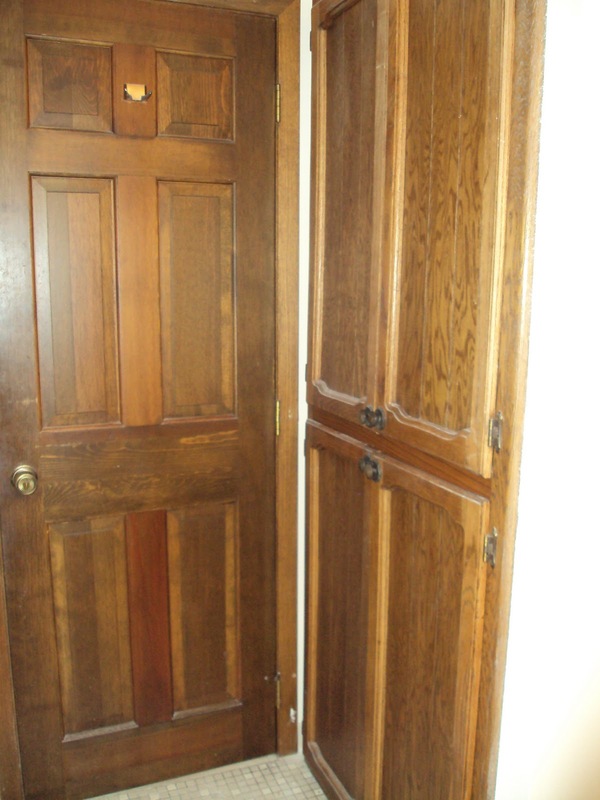 I had him paint the inside of the cabinets as well, which made everything feel bright and fresh. I haven't organized the cabinets yet, but we are getting there. The light is from Lowe's, dad installed it. It is a nice soft warm light. We wanted somewhere to hang our towels and I thought this was a good solution and helps keep them dry and neat. 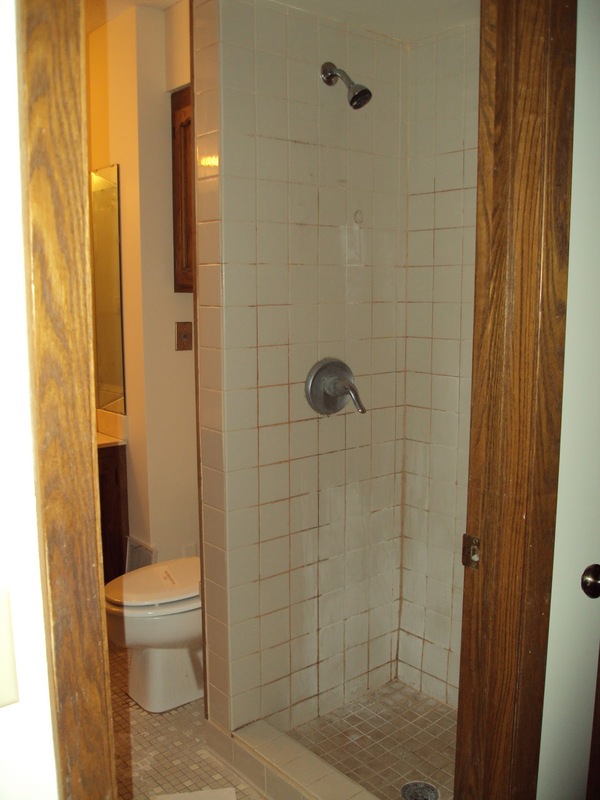 I LOVE the towels, they have the same soft warm basketry color in them. 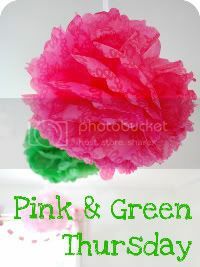 I found them on clearance at Home Goods, $4 for the bath, $3 for the hand and $2 for the wash cloth. I bought all they had, but they only had one hand towel, so I am improvising. The towel bars we bought at Home Depot in the brushed nickel. I love how the design of the shower curtain blended so nicely with the towels. The soap dish, soap dispenser, kleenex cover and cups are DKNY on clearance from Bed, Bath and Beyond. Candle and room spray are Home Goods. Knobs were recycled from the kitchen. Love the details of the frame of the mirror. Overall, not a bad update, still need to change out the door knob and some art for the walls, other than that I am very pleased with how things were brightened up and updated. Jilly!! It looks INCREDIBLE! What a transformation! 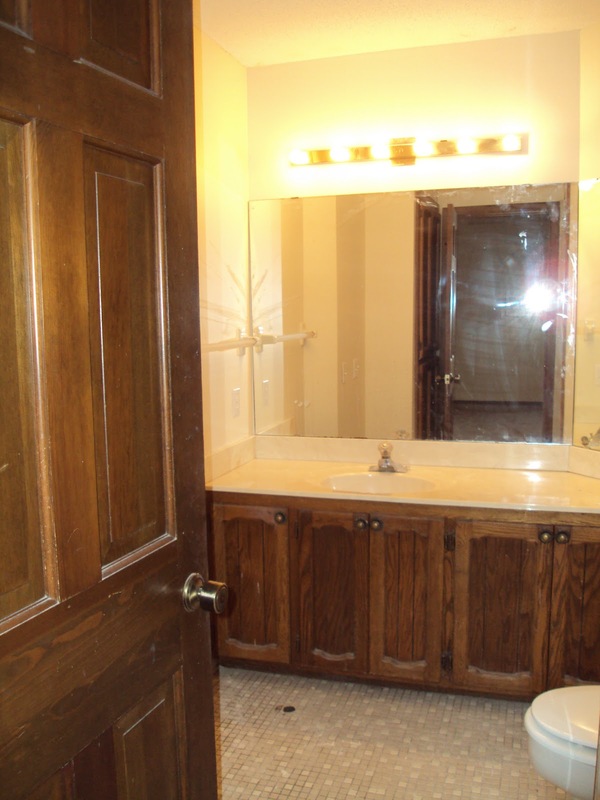 I can't decide what my favorite part is - the mirror or the white vanity and woodwork! Love love love it!! !